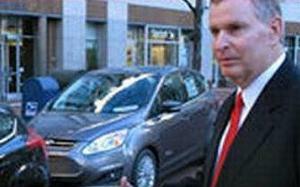 INDIANAPOLIS, Indiana, December 13, 2012 (ENS) – Calling it a vital national security issue, Mayor Greg Ballard has signed an Executive Order making Indianapolis the first U.S. city to require the purchase of either electric or plug-in hybrid vehicles for the city’s non-police fleet. On December 12, Mayor Ballard, a Republican, signed the Order and explained his plan to convert the entire city government fleet to “post-oil technology” by 2025. “Our oil dependence, in some cases, places the fruits of our labor into the hands of dictators united against the people of the United States,” said Mayor Ballard, who is a retired U.S. Marines Officer and Gulf War Veteran. “Today I am proposing to make Indianapolis a leader by example on this national and international issue. Although oil-based transportation will remain a staple for a while, new technology available now is making ‘energy choice’ a real alternative,” he said. Indianapolis has been at the center of development of electric and plug-in hybrid vehicles for years, the mayor pointed out. 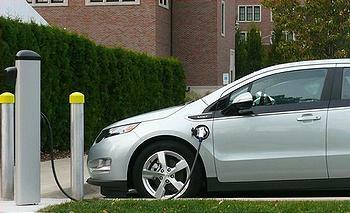 General Motors developed the world’s first electric vehicle, the EV1, in Indianapolis. Later, companies like Allison, Delphi and Remy built upon that work to develop hybrid and electric drive solutions for cars and buses. This car-conscious city of 829,700 residents is a major automobile racing center. Since 1911 the Indianapolis 500 has been the premier event in the National Championship of open wheel car racing. “Over the course of the last century, Indianapolis has been a leader in automotive development, so it is perfectly fitting we lead the way again,” Ballard said. Under the Executive Order, the city fleet of about 500 non-police fleet cars will be replaced, as needed, with plug-in hybrid or electric vehicles. The mayor calculates taxpayers will save approximately $12,000 per vehicle over the 10-year life cycle of each car. Indianapolis has already been recognized by Toyota, Ford and the U.S. Department of Energy as a one of the top communities for deployment of plug-in vehicles and charging stations. Working with its industry partners, Energy Systems Network, the non-profit industry initiative that leads Project Plug-IN, has installed more than 200 charging stations across the Indianapolis region. Another part of the Ballard initiative is the conversion of the city’s heavy fleet vehicles to compressed natural gas, CNG. The city is currently working with partner organizations, finance experts and Energy Systems Network to convert the city’s heavy fleet, including snow plows, garbage trucks and fire trucks to CNG. Finally, Indianapolis wants to equip its police force with the world’s first plug-in hybrid police vehicle. The city is seeking to partner with one or more automakers to develop a plug-in hybrid police vehicle that meets the safety, power, electronic and range needs of a modern urban police force.